Though the Major League Baseball season seems interminable, the Washington Nationals are wishing it lasted a few weeks longer. The Nats played their projected everyday lineup for the first time in the 2015 season in the last week of August, and everything came off according to plan. Unfortunately, the club has a six-game deficit in the division and an even bigger hole in the Wild Card race. Currently with a 7% chance to make the playoffs, Washington is close to being buried the year it was expected to win the World Series. 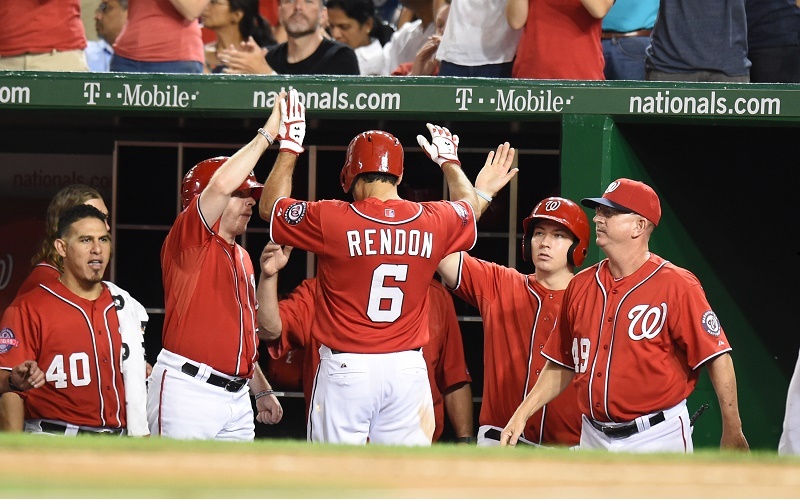 We have gone over the reasons why the Nationals have flopped in 2015, so we’ll focus on their postseason chances and outlook here. The picture is anything but pretty. After an August 26 loss to San Diego, Washington remained 6.5 game behind the Mets in the National League East with 37 games left on the schedule. While that margin is nothing to fret over in most cases, the crew from Flushing is playing like a contender with Yoenis Cespedes and Michael Cuddyer contributing to a surging offense. Mets pitching, led by Jacob deGrom and Matt Harvey, remains dominant. New York has just capped off a six-game win streak that pushed its own playoff chances to a cool 93% according to MLB.com. Outside of the Yankees, the Mets will only face teams who are at the bottom of the standings for the rest of the season. Plenty of matchups against Miami, Philly, and Atlanta remain. 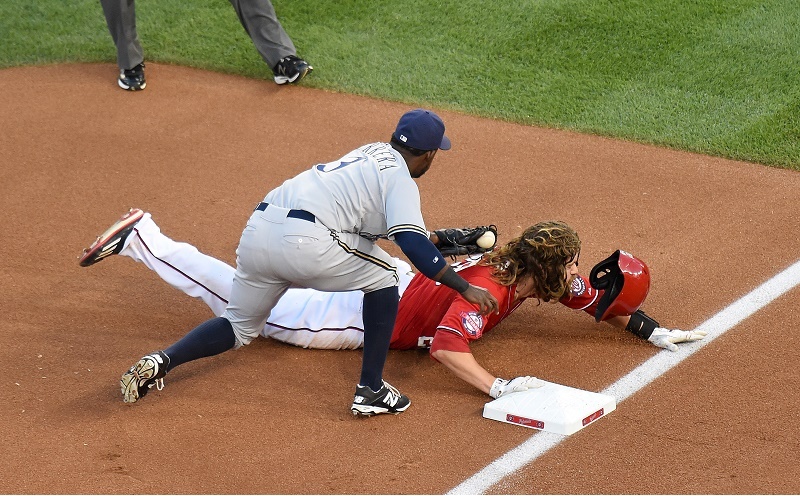 Outside of six games versus Baltimore and St. Louis, the Nats have just as easy a ride remaining in 2015. New York and Washington play six more times head-to-head, including the final three games of the season at Citi Field. With 36 games on the Mets schedule, New York would only need to play .500 baseball to hit 88 wins and take the division. The Nats would have to go 25-12 to reach the same mark. With the days ticking off the calendar, the Nats no longer have the luxury of playing good baseball and letting the rest take care of itself. The NL Wild Card is almost certainly out of the question the way Pittsburgh and Chicago have played. Washington trails the Cubs by nine losses for the second and last playoff position. According to MLB.com, the Nationals’ chance of beating out the Cubs. Pirates, and Giants for one of the two Wild Cards is 0.6%. Put another way, the Nationals would have to play 27-8 baseball over the rest of the season and have Chicago play 18-17 just to tie for the Wild Card spot. We’ll venture to say that won’t happen. Washington has to throw in the towel for the Wild Card race and play superior baseball while hoping the Mets somehow lose steam in the final five weeks of the season. New York would have to go on a few losing streaks to make that happen, while Washington would have to win two of every three games just to even the score. The Mets are showing no signs of slowing down enough for that to happen. The Nationals’ chances of making places sit at almost zero. If the club cannot gain ground in the three-game set scheduled against the Mets between September 7 through 9, Washington is as good as done. Statistics, current as of August 27, were sourced at Baseball Reference.